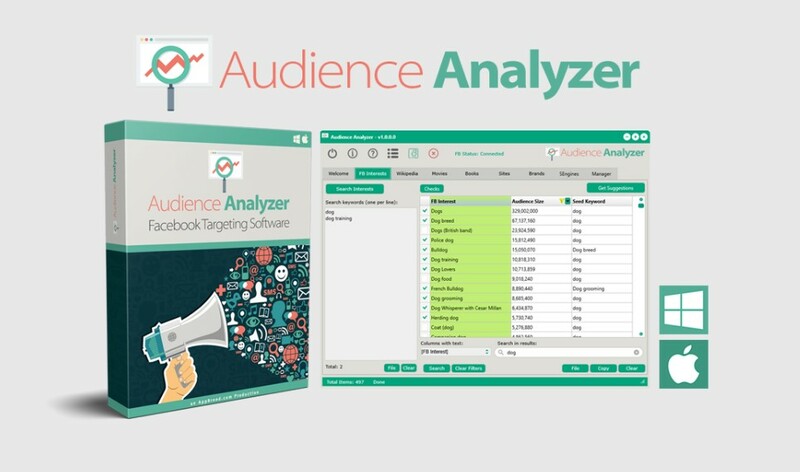 The NEW Audience Analyzer, an extremely powerful Mac/PC software tool that helps you save 100’s of hours of research time by uncovering thousands of profitable interest keyword phrases directly from the Facebook internal keywords database! Find thousands of website names to use as highly-targeted interest keyword phrases! Uncover thousands of interest keyword phrases directly from Facebook’s internal database through their marketing API! Instantly search book & magazine titles directly from Google book’s internal database!